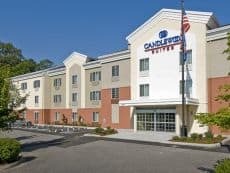 For business or pleasure, you’ll be very happy to getaway to this serene and splendid Oak Harbor hotel, complete with a full-service Convention Center. 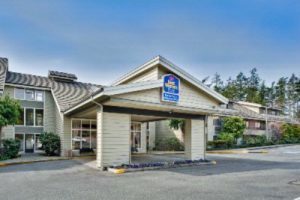 Located near Northrop Grumman, Boeing, Whidbey Naval Air Station, Raytheon, Embry-Riddle Aeronautical University and Skagit Community College. 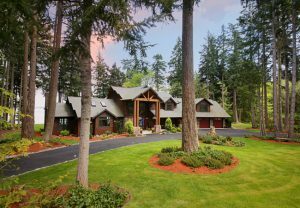 Soaring Eagle Lodge is a luxurious, 3,800 square foot vacation rental mini lodge with its own eagles nest and spectacular setting 15 minutes south of Deception Pass Bridge. The waterfront lodge overlooks Puget Sound, Mt Baker and Ika Island. 3 rooms – Kids are welcome. 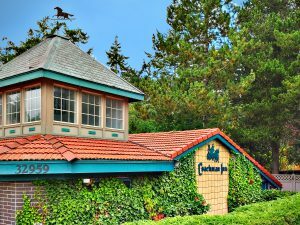 Voted Best of Whidbey for 10 years, the Coachman is a cozy haven just minutes from the ocean on beautiful Whidbey Island that offers the perfect mix of old-world hospitality and new-world comfort. 101 rooms – Kids and pets are welcome.